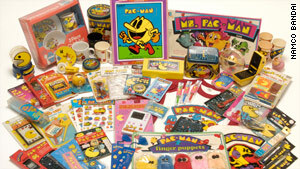 Pac-Man inspired hundreds of spin-off products, including board games, a cartoon and even a hit song. 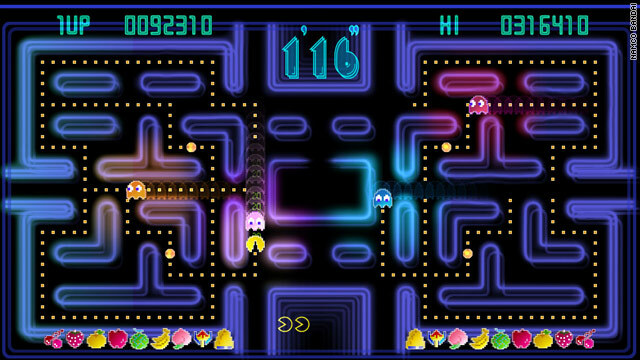 "During the early stages of the arcade industry, where most games skewed towards a male audience, we saw the need to expand our appeal," explained Kenji Hisatsune, president, CEO and COO of Namco Networks America Inc. "In order to fill this void, Pac-Man was created as a 'cute' game with both good and bad characters that were colorful and endearing." Lisa Sharp, a 36-year-old finance director at Georgia Tech, remembers cashing her $10 weekly allowance into quarters to play Pac-Man for as long as the coins lasted. Her first taste of the game came from an unlikely place: her dentist's office. Google's logo, which often changes to reflect events of the day, became a playable Pac-Man game on Friday, spelling out the company's name. A Google spokeswoman said the game will be available over the weekend and gameplay reaches 256 levels. "I don't think that it's an understatement to say that today we would have no Mario, Master Chief or Lara Croft if it wasn't for the pioneering efforts of the grinning, little, yellow dot-gobbler," said Steinberg. "It remains as engaging, fresh and relevant as the day it first shipped."